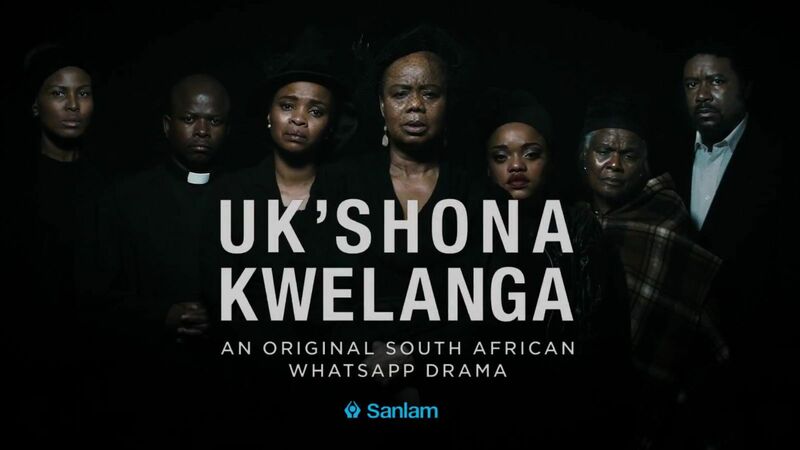 Sanlam has launched the country’s first WhatsApp drama series. Uk’shona Kwelanga (meaning The Sunset and also The Death of Langa) is a collaboration with scriptwriter and playwright, Bongi Ndaba and a number of South African actors. Sanlam chose WhatsApp because it is a medium most of its market uses, and an ideal opportunity to shift into a new space of entertainment and immediacy. The WhatsApp drama will launch on Monday, 5 June and will be available up until mid-July. The drama tells the tale of a South African family struggling to deal with the emotional and financial ramifications of loss while planning their father’s funeral. Although the story is a familiar one, the means of conducting the campaign is entirely new – subscribers will receive a series of updates over seven days (the average time it takes to plan a funeral), drawing them into the drama and making them feel like part of the family. A marketing campaign including a promotional video, billboards, and social media ads will build an audience for the series. Scriptwriter, Bongi Ndaba, used her experience writing for shows such as Generations to create characters that many South Africans will identify with. Voice notes for the real-time drama will be voiced by some of South Africa’s actors, including Shabangu’s Bongani Madondo, Isidingo’s Linda Sokhulu, and Stokvel’s Thembi Mtshali, who were also filmed for a series trailer. Every episode in the drama demonstrates the necessity of a funeral scheme, which pays out claims quickly. With a lot to do in a short period, funeral cover alleviates some of the stress on families and allows people to focus on what’s important – celebrating the life of the person they loved. You can watch the series unfold here.